Krzysztof Zanussi’s 1991 documentary on Lutosławski has just appeared on YouTube, complete. I wrote almost three months ago about two excerpts that became available there in mid-January (WL100/13) and I’ve reproduced that post’s opening paragraphs below. “On 19 January 1991, BBC 2 showed a one-hour documentary on Lutosławski. It was made by the distinguished Polish film director Krzysztof Zanussi. Witold Lutosławski in Conversation with Krzysztof Zanussi (1990) utilises excerpts from a BBC Omnibus documentary Warsaw Autumn (1978), filmed by Dennis Marks in 1977, as starting points. Zanussi steers Lutosławski through key moments of his life, interspersed with the composer conducting rehearsals or special recordings of excerpts of his music. The results are mixed. At times, the premise is realised archly, as at the beginning, when the interview set-up seems rather self-conscious. At other times, Zanussi’s probing produces some interesting responses. Lutosławski recollection of his father is rather touching, for example, and his recollection of life in the 1980s (during Solidarity and then under Martial Law) fascinating. As always, he can be alternately open and guarded. 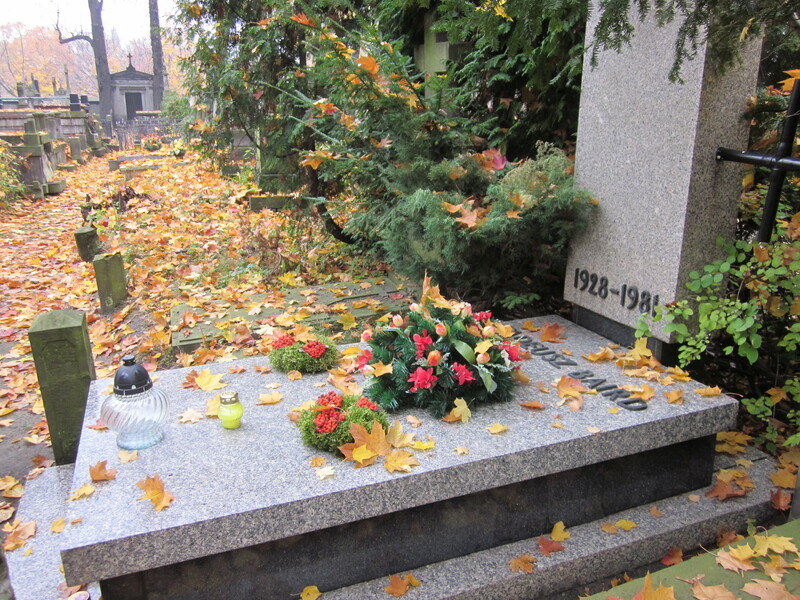 On 19 January 1991, BBC 2 showed a one-hour documentary on Lutosławski. It was made by the distinguished Polish film director Krzysztof Zanussi. Witold Lutosławski in Conversation with Krzysztof Zanussi (1990) utilises excerpts from a BBC Omnibus documentary Warsaw Autumn (1978), filmed by Dennis Marks in 1977, as starting points. Zanussi steers Lutosławski through key moments of his life, interspersed with the composer conducting rehearsals or special recordings of excerpts of his music. The interiors were filmed either in his downstairs sitting area (it’s open-plan) or in his first floor, L-shaped study (see my earlier post Lutosławski’s Carpet). The major musical extracts are from Musique Funèbre, Preludes and Fugue, Chain 2 (with Krzysztof Jakowicz) and the Third Symphony. Two excerpts from Witold Lutosławski in Conversation with Krzysztof Zanussi (amounting to the second and fourth quarters of the documentary) were uploaded to YouTube yesterday, so here are the links with a little commentary to each. This section is concerned firstly with the post-war decade and socialist realism. Habitually, Lutosławski was extremely guarded about this period, as he is here, especially in the excerpt from the Omnibus film. The three-day conference to which Lutosławski refers took place in western Poland, at a place called Łagów, in August 1949. (Less than half of the members of the Polish Composers’ Union attended, rather than the ‘all’ that Lutosławski mentions.) Secondly (c. 7’45” in), the film shows Lutosławski accompanying a group of young children singing one of his children’s songs, Rzeczka (River, 1947). The final section (c. 11’20” in) moves the questioning of the relationship between the music and social-political contexts to the 1980s. It shows a fragment of Lutosławski’s speech on the first day of the Congress of Polish Culture in Warsaw on 12 December 1981. Overnight, Poland found itself under Martial Law. This section concludes the documentary with a brief discussion of the return to democracy in the late 1980s and then focuses on the Third Symphony. There are two musical passages here, from figs 84 to 89 and from fig. 93 (Coda), in what appears to be a specially recorded session with Lutosławski conducting the Great Polish Radio SO (WOSPR) in Katowice. I’m catching up on Polish arrears, having dallied since my visit to Warsaw last month by staying in London to see Covent Garden’s Ring cycle (frankly, I might just as well have listened to it on the radio, so inept and wilfully contrary was the set design and production; the final half hour in particular was a total travesty). And then I succumbed to a week of ‘underweatherness’ here in Cornwall, and that has meant a backlog of deadlines. 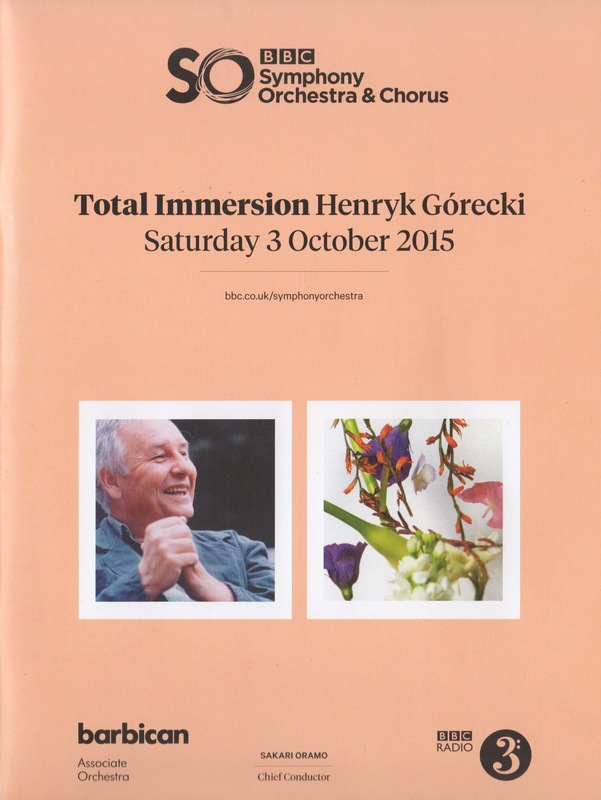 Today – 12 November 2012 – is the second anniversary of the death of Henryk Mikołaj Górecki. Two nights ago, Polish Television broadcast a new documentary about him (Please Find, directed by Violetta Rotter-Kozera), with contributors from Europe and America, including myself. I should have been in Katowice last Friday to see a private screening with the family, but circumstances got in the way. I’m looking forward to seeing it in due course. This morning, BBC Radio 3 broadcast the second movement of his Third Symphony, choosing not Dawn Upshaw’s breakthrough recording (now 20 years old), but the first ever recording, by Stefania Woytowicz with the Polish Radio Symphony Orchestra, conducted by Jerzy Katlewicz. Upshaw and Woytowicz are two quite different singers, and I admire them both, but for me that first recording captures the excitement and extraordinary atmosphere of the late 1970s and the powerful shock that the symphony made on me and on others who were lucky enough to come across it at the time. It was this recording, for example, that captivated the conductor David Atherton, who played a huge role in promoting it during the 1980s. This is all a bit by-the-by. 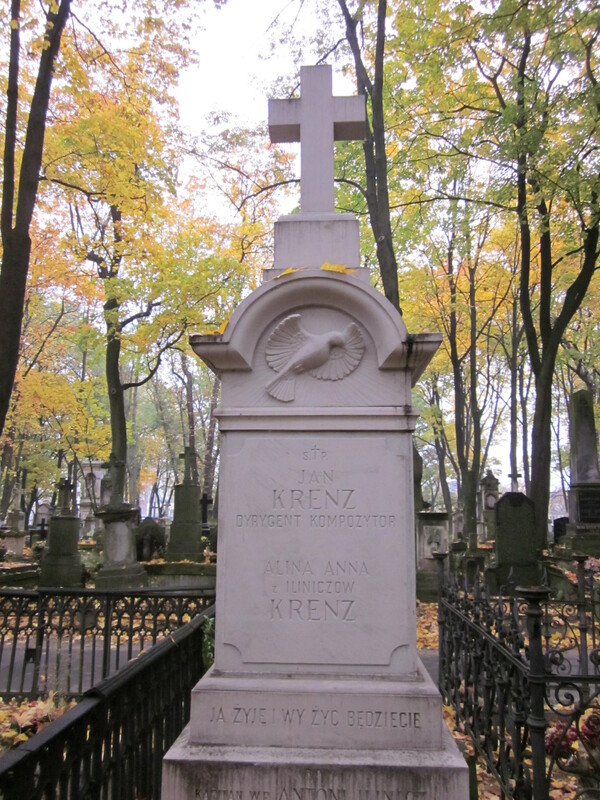 I had intended to visit Henryk’s grave on my visit to Katowice. Niestety, nie zdążyłem. 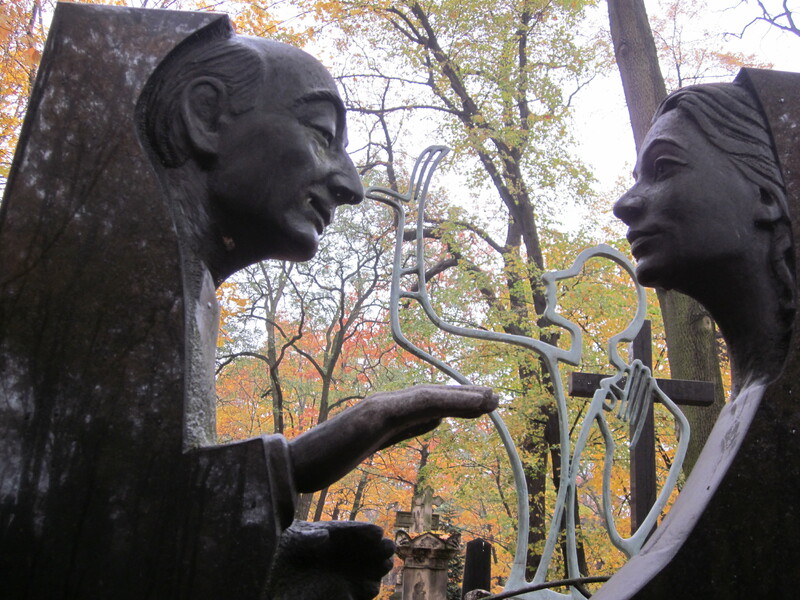 I did, however, manage to visit Powązki Cemetery in Warsaw last month, mainly to pay homage to particular people, but also to sample again its special atmosphere. Finding it as it was. 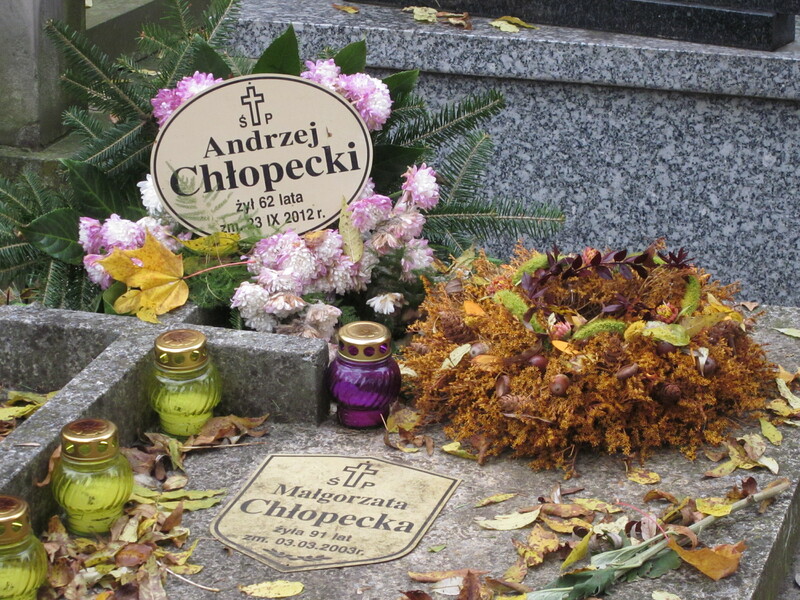 My first main port of call was the grave of my friend, the Polish musicologist and critic, Andrzej Chłopecki, who had died a month earlier. 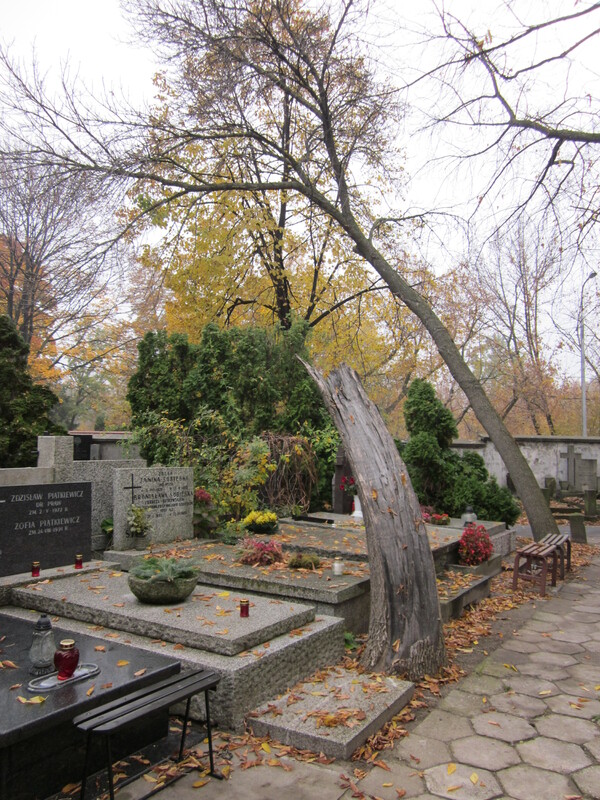 Some distance away, not far from the cemetery chapel, lie a number of composers and conductors who shaped Polish music in the second half of the twentieth century. 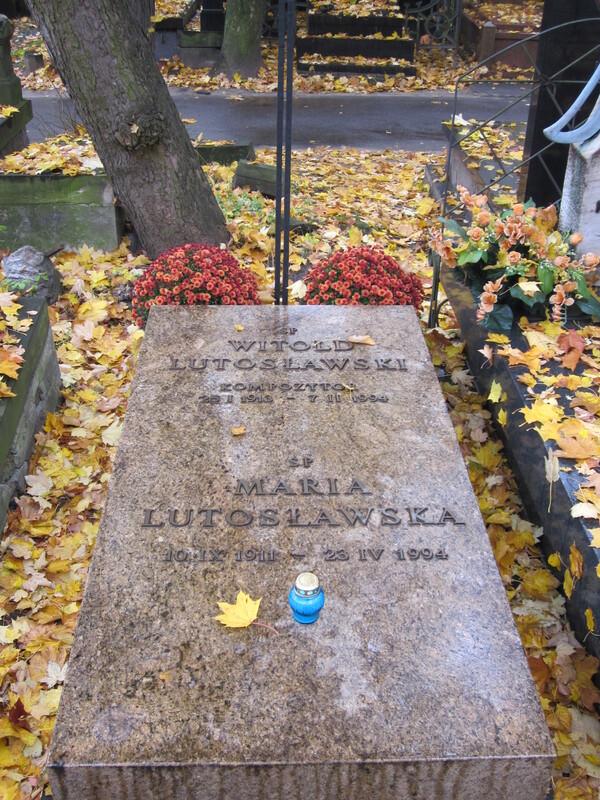 First and foremost, there’s the grave of Witold Lutosławski and his wife. 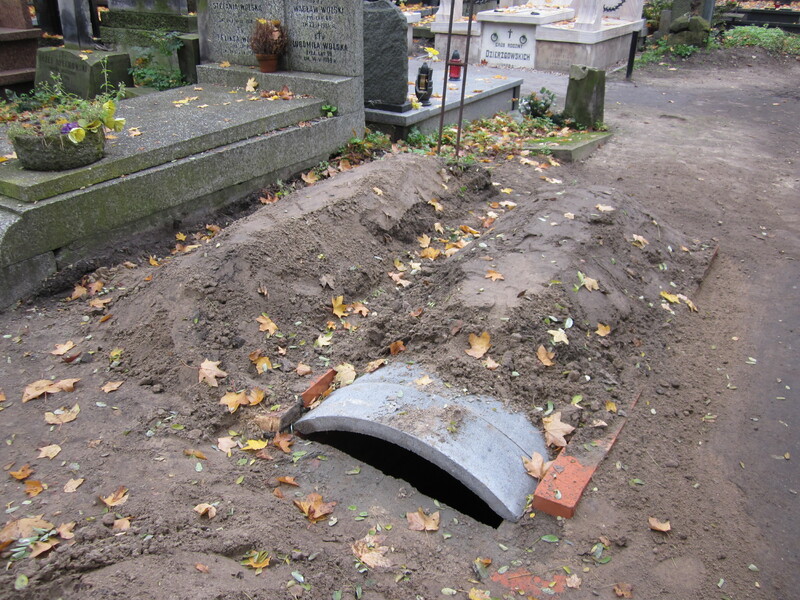 Here’s the grave from the rear. 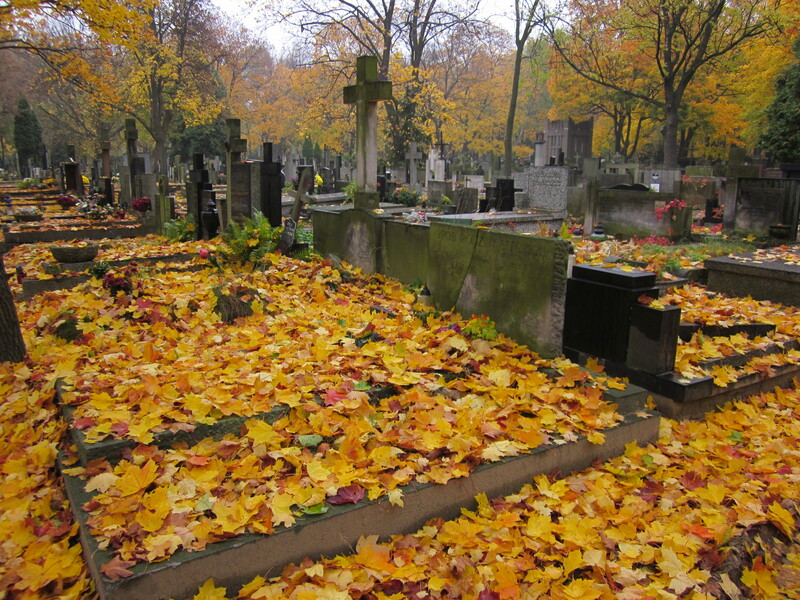 I was present at his funeral and watched from this vantage point as his stepson climbed into the grave to place his urn on the floor of the chamber. 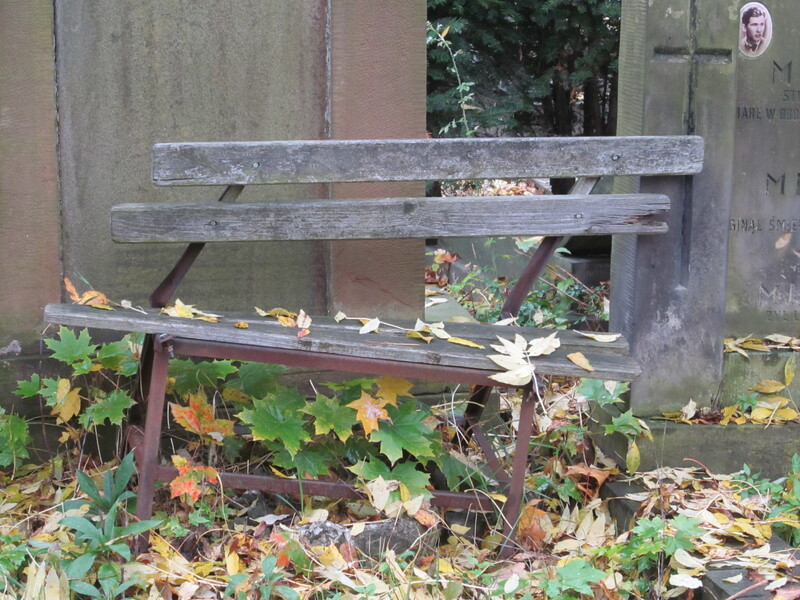 It now has a classically restrained gravestone and had evidently been attended to recently. 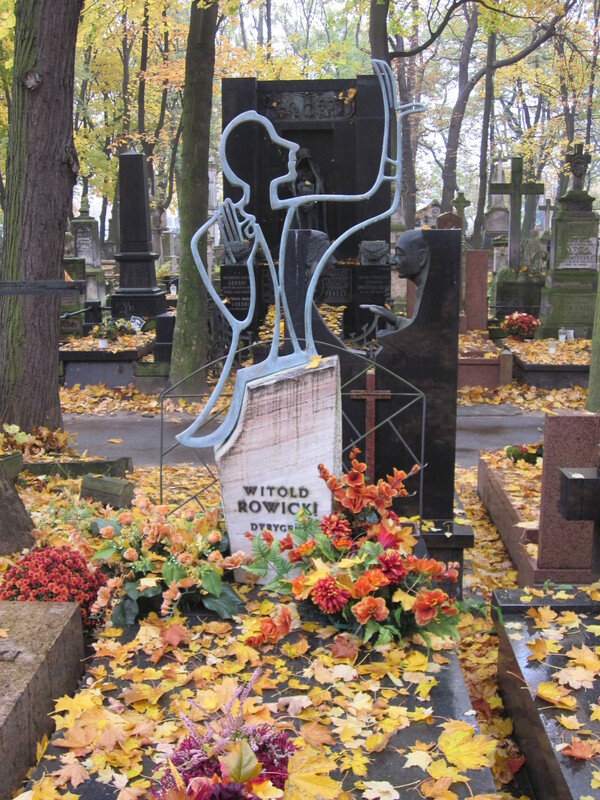 Next door lies that great champion of Polish music, the conductor Witold Rowicki. 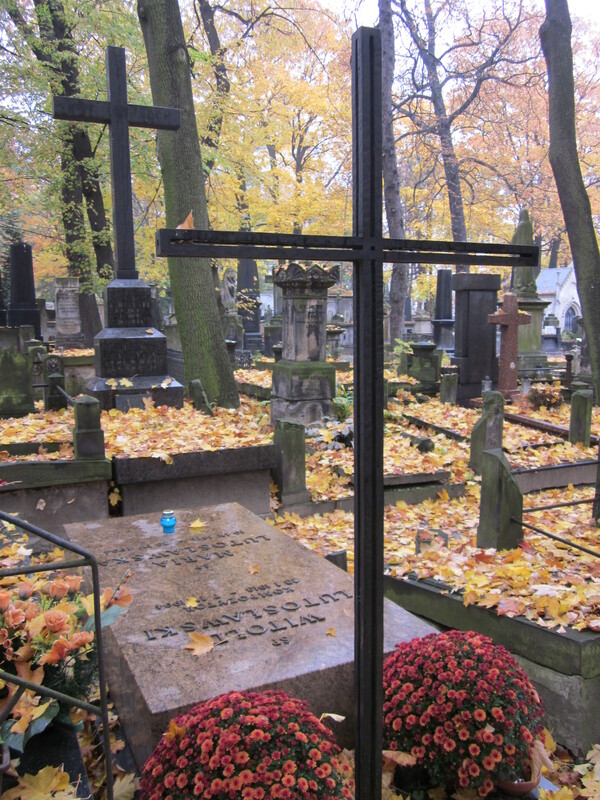 His grave is more demonstrative! 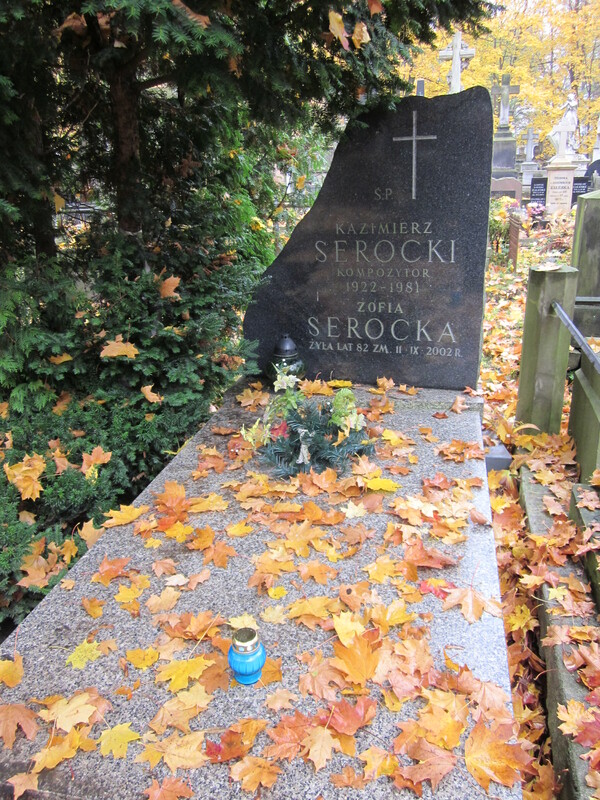 A little further to the right of Rowicki’s grave is one set aside for Jan Krenz, a champion of contemporary Polish music. It seems strange to me (but it’s not unusual there) that such monuments are erected before death. 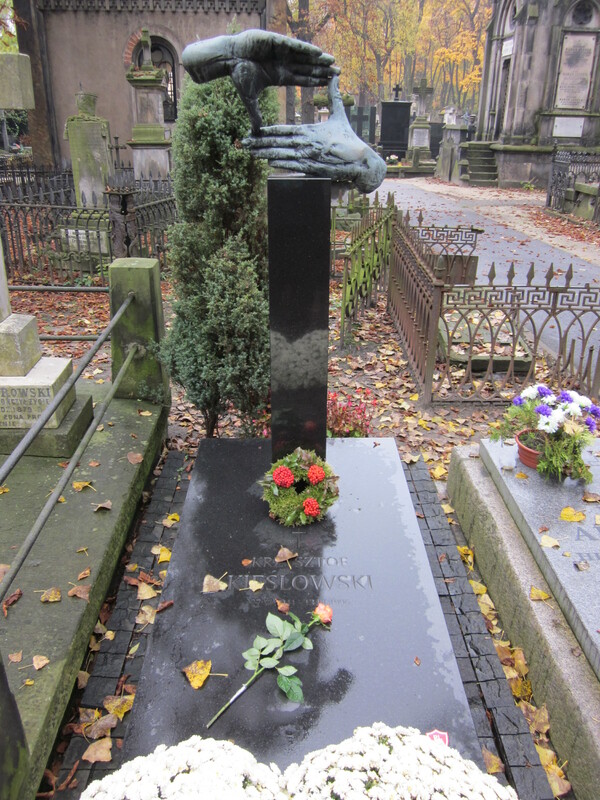 Behind Rowicki’s grave is that of Stefan Rachoń – a far less well-known conductor, at least outside Poland – and his widow, the opera singer Barbara Nieman. On the other side of the main path from these graves are several more. 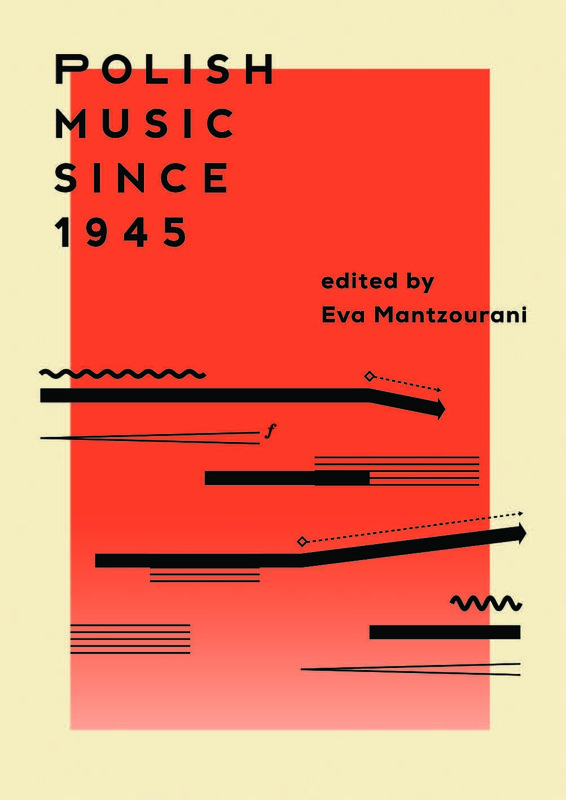 Notable among them are those of Kazimierz Serocki and Tadeusz Baird, whose music deserves to be far more widely known and appreciated. Baird, Krenz and Serocki formed ‘Grupa ’49’ as the youngest generation of composers during post-war socialist realism. 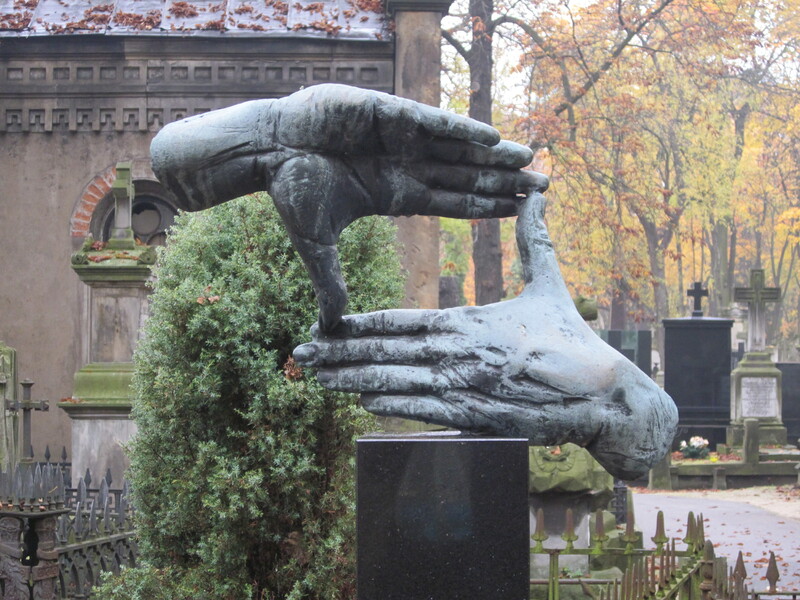 One of the most striking graves is that of the film-maker, Krzysztof Kieślowski. If only I had his eye for framing.